See today's Mission homes for sale in Calgary! Situated in Calgary, Alberta, is the charming inner city of Mission district. Aside from being one of Calgary’s most popular tourist attractions, Mission has become place of residence for many people as well. To learn more about Mission real estate for sale or to schedule a guided home or condo tour, connect with your Mission Calgary real estate team today. Mission housing market statistics: As of April 25, 2019 there are currently 54 properties for sale in Mission listed as active, with an average asking price of $425,696. The highest-priced property is $1,178,500; the lowest priced property can be purchased for $179,900. Mission neighbourhood listings have an average price of $453 per square foot, based on listings with 1.6 bedrooms, 1.7 baths, and 951 square feet of living space. 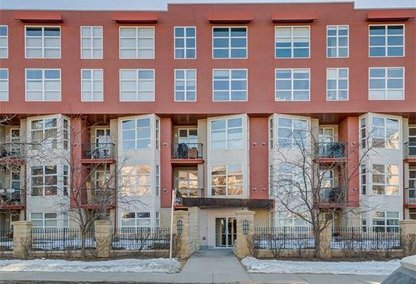 Selling or buying a condo in Mission Calgary soon? Call Justin Havre at RE/MAX First - 403.217.0003. Our community of Mission real estate agents will help you navigate the Mission housing market in Calgary. Originally named Village of Rouleauville, the neighbourhood of Mission was established in 1900 by French Catholic missionaries. In 1907, Calgary annexed the village and the French-named streets were replaced with streets using Calgary’s numbering system. Throughout the transition of the community, many changes took place as the place experienced numerous developments. Nowadays, Mission continues to keep its natural beauty and open opportunities for a nice residential community. As of 2011, the neighbourhood has a total population of 4, 363. In 2005, the population had an average household income of $45,095 with 22.6% of the residents earning low. Residences in Mission come in single-detached, semi-detached, row house, condominium, and apartment type structures. As of 2006, 65.9% of the homes were rented while 34.3% were owned. Mission provides a number of neighbourhood services and amenities for home owners. For shopping, the 4th Street SW is within walking distance. On 17th Avenue SE/SW, residents can hang out with family or friends in the various restaurants, shops, and clubs within the area. Downtown is a short distance away, providing community members access to many business establishments. Everything that Mission residents need can be found near or within the community. The green environment and the attractive sights in the area have provided the neighbourhood a great atmosphere of peaceful and pleasant living that most people desire. Recreation areas and tourist attractions are also found nearby for residents to visit and enjoy. For education, Mission has public schools teaching kindergarten to high school, which are situated near the residential properties. Transportation service is widely available, allowing residents to commute comfortably to and from work, school, and other places. 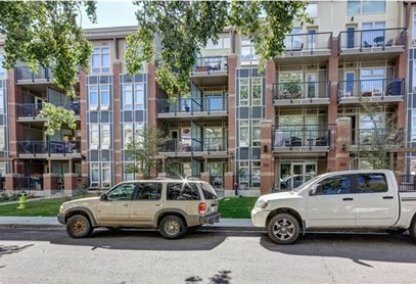 Thinking of buying or selling a condo in Mission Calgary? Let our local real estate agents help guide you through the purchase of your next property, or to professionally negotiate the sale of your current home. As local Mission real estate agents, we're experts on the market dynamics unique to the Mission real estate. We'll get to work today! Contact Justin Havre at RE/MAX First - 403.217.0003 to learn more about buyer or seller representation. Planning to sell your Mission home? Check out our home evaluation tool, where you can instantly view Calgary Homes Values online!